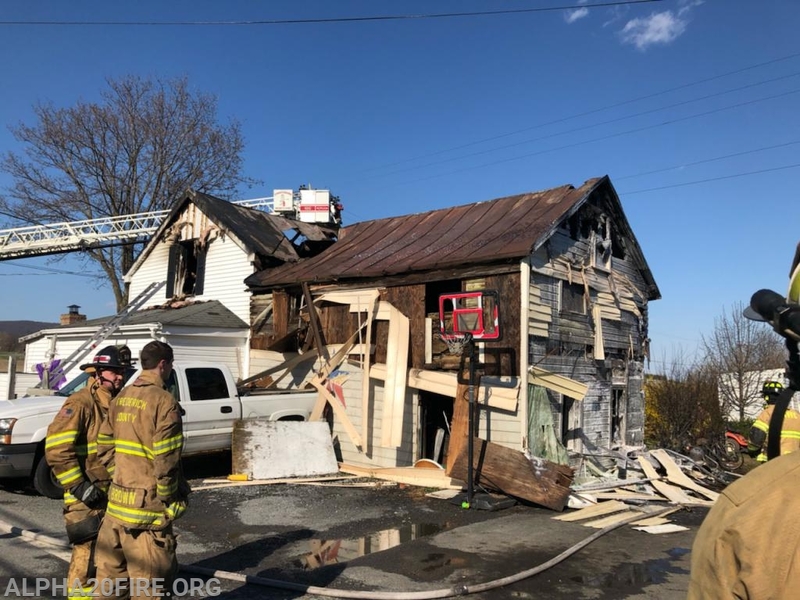 Wednesday afternoon Engine 201 was originally dispatched to transfer to Frederick county station 6 (Emmitsburg) while units were on the scene of a working house fire in Thurmont. Engine 201 responded with 4 personnel to the transfer. As the engine was getting ready to arrive at station 6, Frederick advised we were needed to assist on the fire. The crew from Engine 201 assisted in overhaul operations and assisted packing hose.